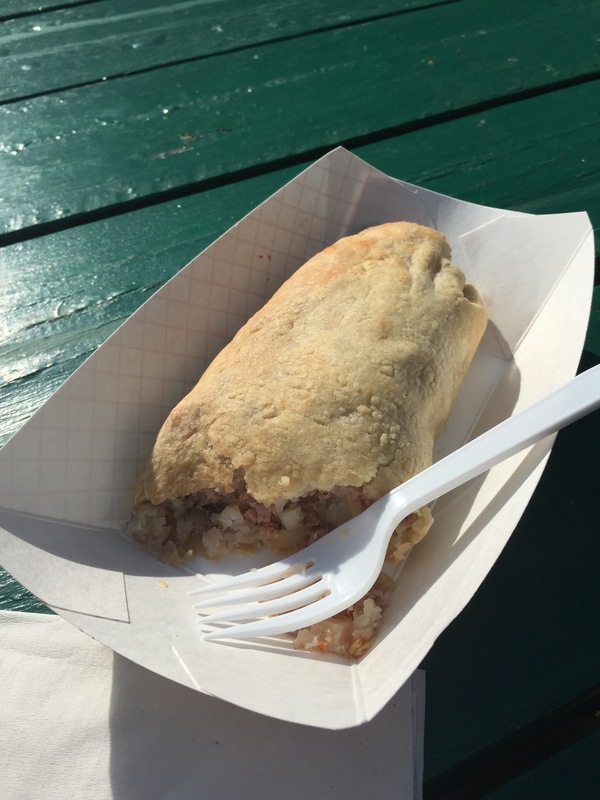 No visit to the Upper Peninsula of Michigan is complete without eating a pastie (pronounced “pass-tee”), a small meat pie that was first introduced by miners back in the day. As I drove east on Route 2 (the main drag across the U.P. 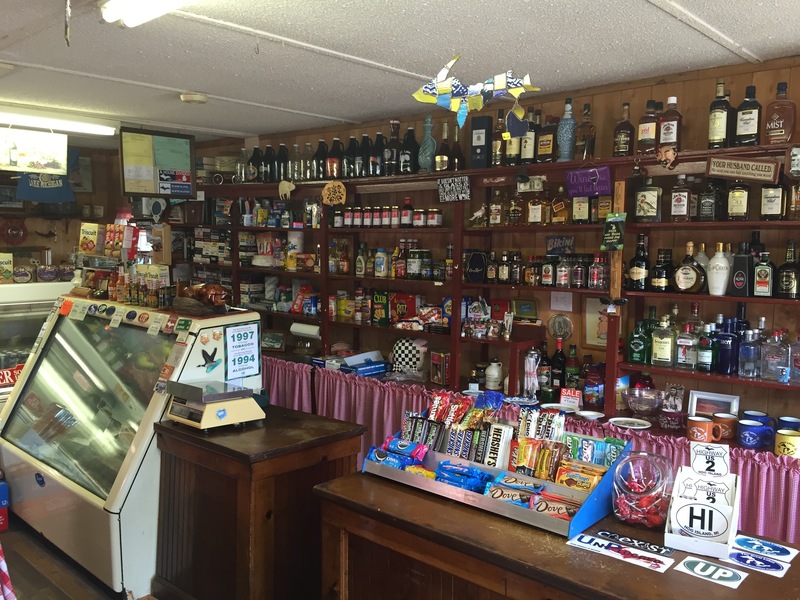 ), pasties were available at just about every restaurant, mini-mart, and even at gas stations (buying food at a gas station is a worthy goal for all of us, right?). The recipe varies, but it is generally a crust that is filled with diced potatoes, rutabagas, carrots, onions and some sort of meat. It’s been described as a pot pie without the pot, and there are vegetarian options, too. A friend from the U.P. told me that having a pastie for lunch generally meant that you didn’t need to eat again for the rest of the day. I googled a bit, and I learned that pasties came from Cornwall, England in the early 1850’s when the copper and iron mines were first opening in the U.P. (I learned some other things about pasties, too, maybe for a different kind of blog). Pasties are artful in their simplicity, and the miners appreciated a lunch that they could stick in their pockets–and a heavy lunch at that. 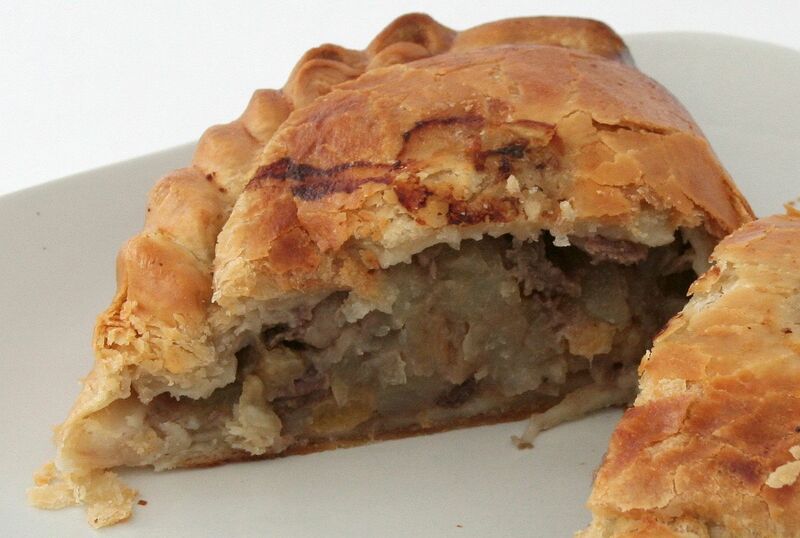 If a pastie got cold, it could supposedly be re-heated by holding it on a shovel blade over a headlamp candle. 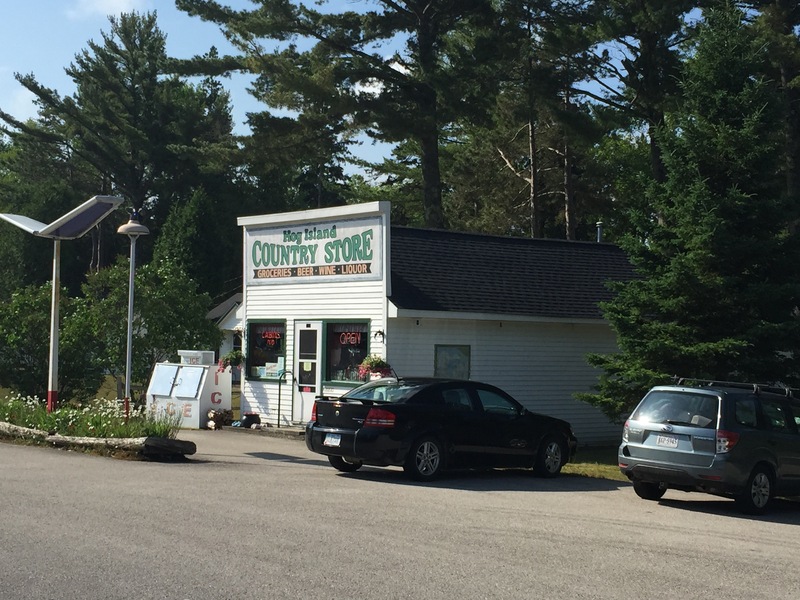 My pastie stop of choice was the Hog Island Country Store not too far east of the tiny community of Naubinway. The store was cash-only, as many businesses here tend to be. The owner was very friendly, something that is also quite common up here. It was a small one-room shop, and yet she had several different kinds of pasties as well as smoked fish (another can’t-miss UP delicacy). 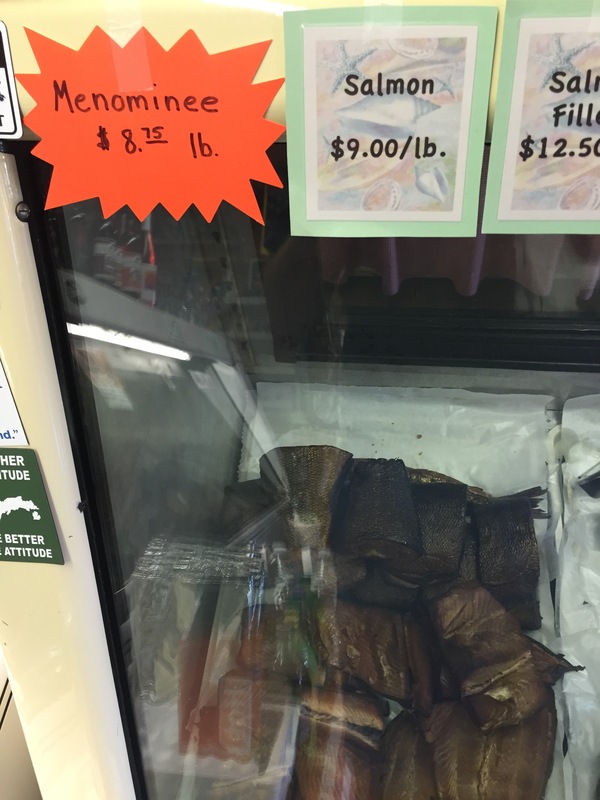 I ordered a beef pasty and a smoked menominee and ate them on their picnic bench out front. I was feeling smugly local until I saw my reflection in the store window. Not a lot of khakis and short sleeved polo shirts up here.